After being recognized as a Parade All-American at St. Mary’s H.S., David began his college career at St. Louis University during the mid-80’s, and he made an immediate impact on the team. As a Billiken, David was first team All-Region recipient. As a player in the Soccer Leagues in St. Louis, David was recruited by and played on some of the best teams in St. Louis. Winning multiple State Championships with the Busch S.C. and Mastercraft. While a member of the Busch team David was a semi-finalist in a National Championship and in 1986 moved to the Kutis S.C. and won the National Open Cup in 86. 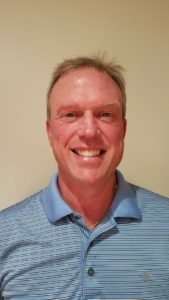 Giving back to the game, David has coached ODP for 15 to 18 year old boys and in 2006 was awarded the United States Youth National Soccer Coach of the Year.